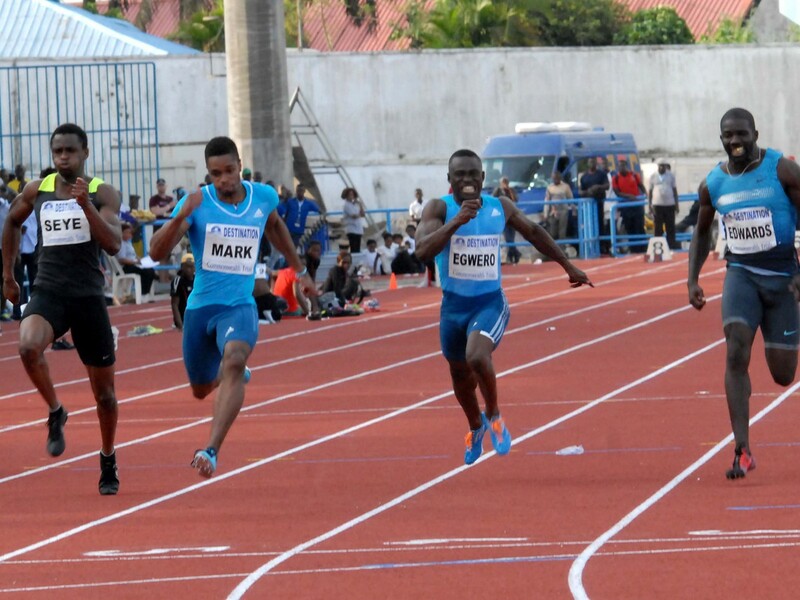 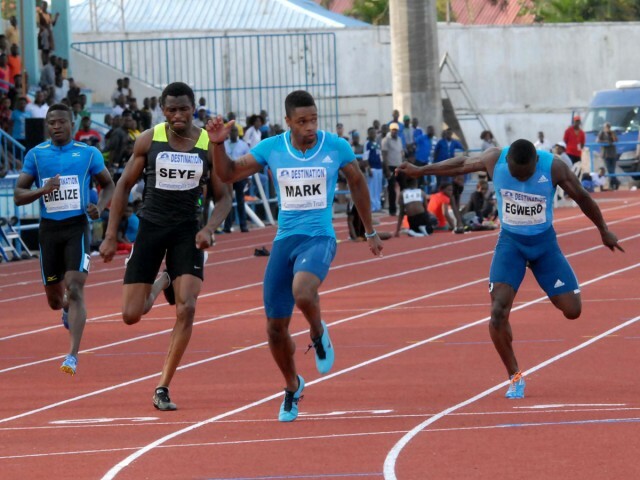 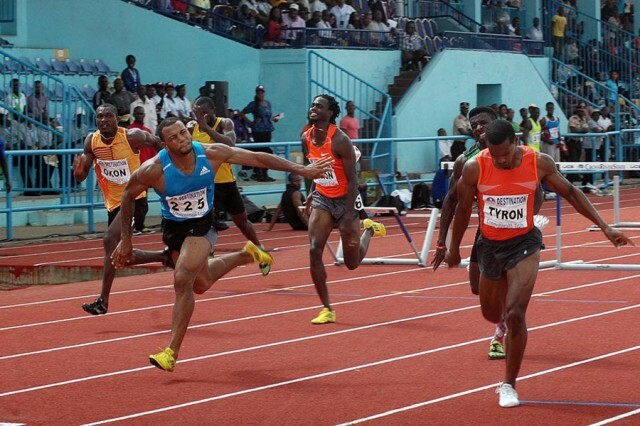 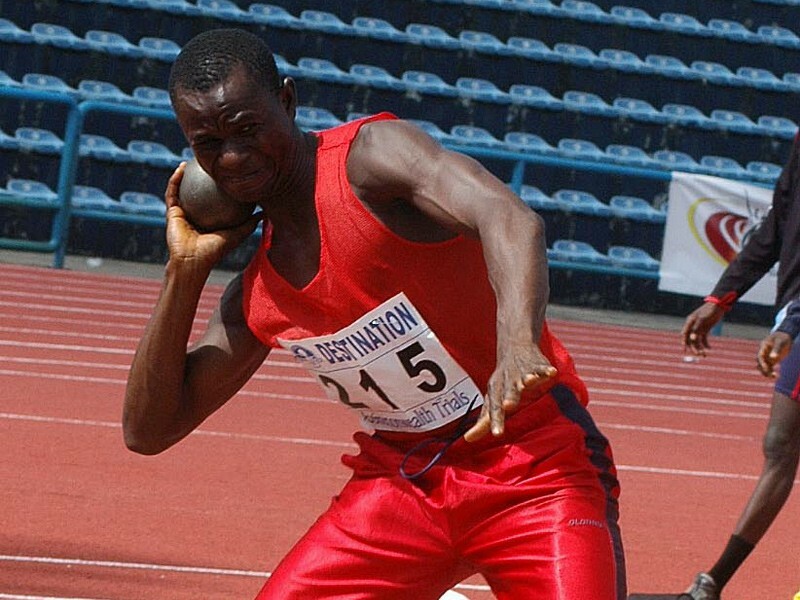 Mark Jelks winning the Men's 100m ahead of Mozavous Arkezes Edwards, Egwero Ogho-Oghene and Seye Ogunlewe at the 68th All-Nigerian Athletics Championships in Calabar / Photo Credit: ShengolPix. 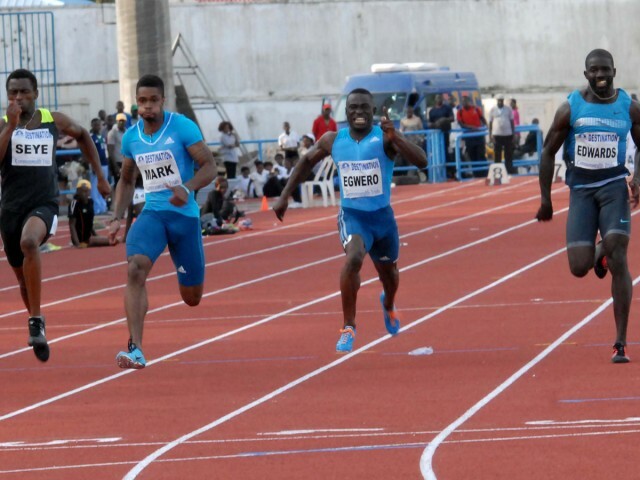 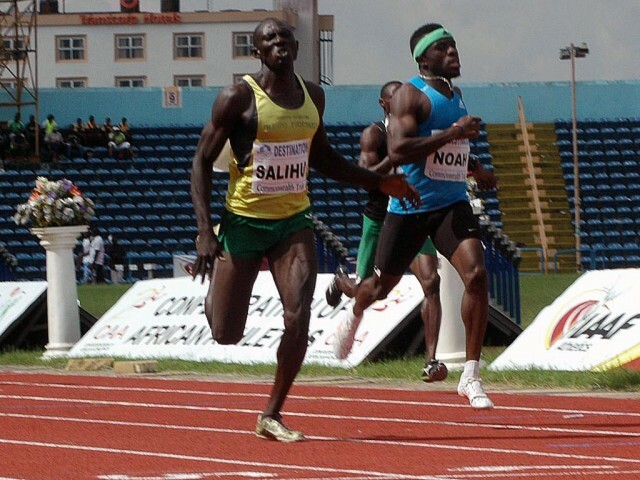 Isah Salihu wins men's 400m race ahead of Noah Akwu at the 68th All-Nigerian Athletics Championships in Calabar / Photo Credit: ShengolPix. 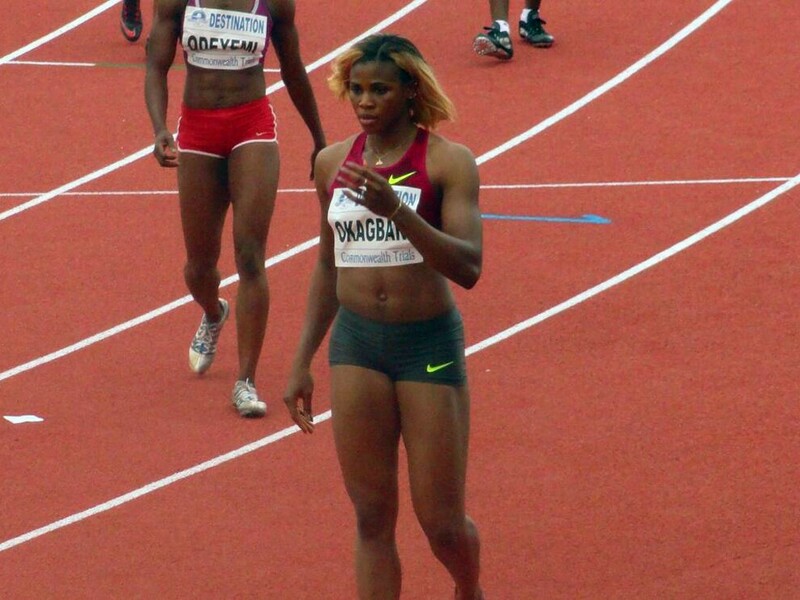 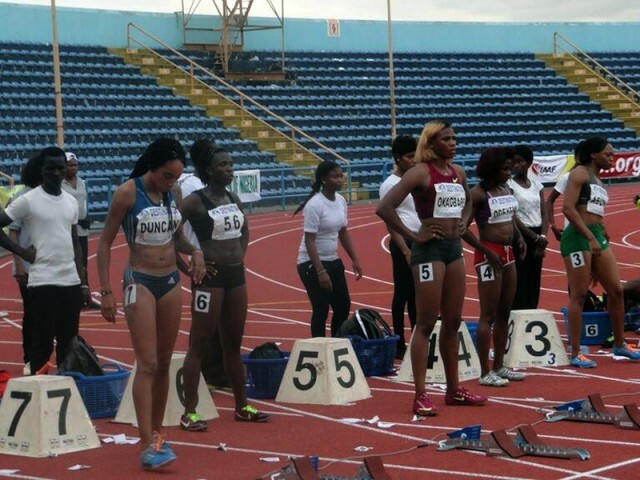 Blessing Okagbare at the start of the women's 100m finals - 2014 All Nigeria Athletics Championships in Calabar, Nigeria. 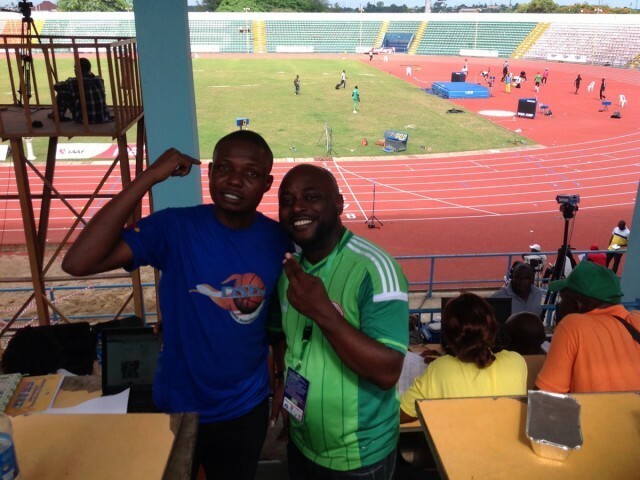 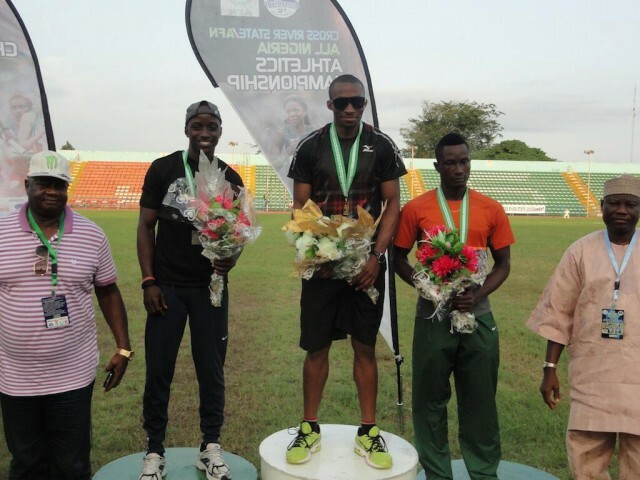 Tosin Oke with podium medallists at the 2014 All Nigeria Athletics Championships in Calabar, Nigeria. 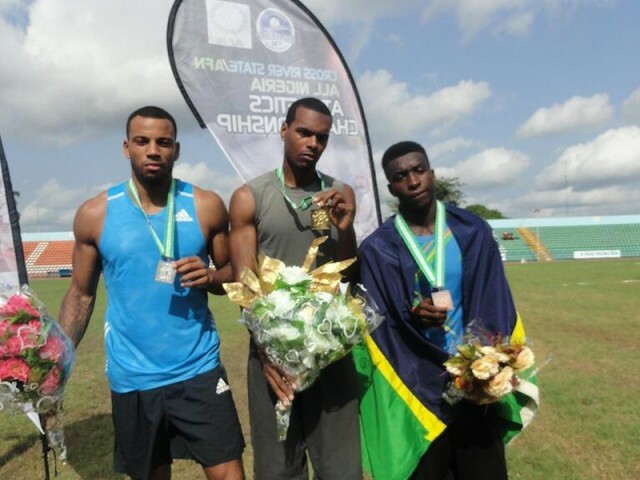 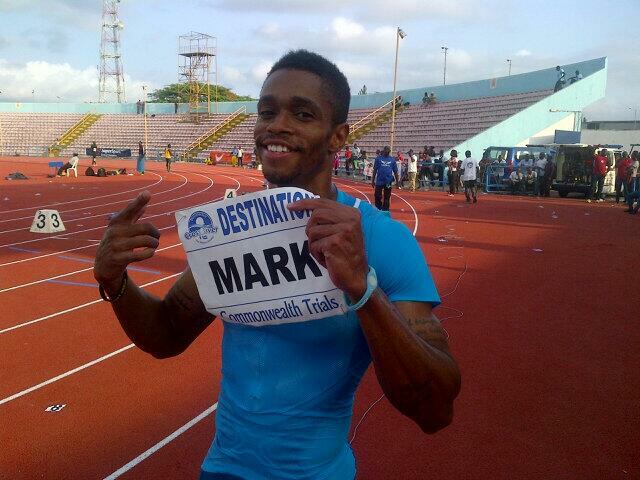 Tyron Atkins with podium medallists at the 2014 All Nigeria Athletics Championships in Calabar, Nigeria. 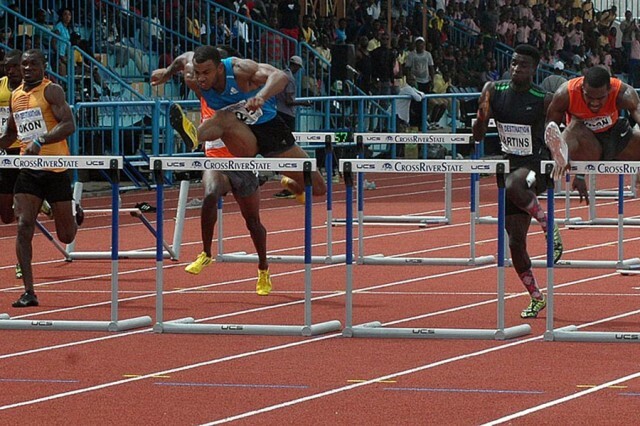 A cross-section of athletes competing at the 68th All Nigerian Athletics Championships, Cross Rivers State of Nigeria - June 19-21, 2014.